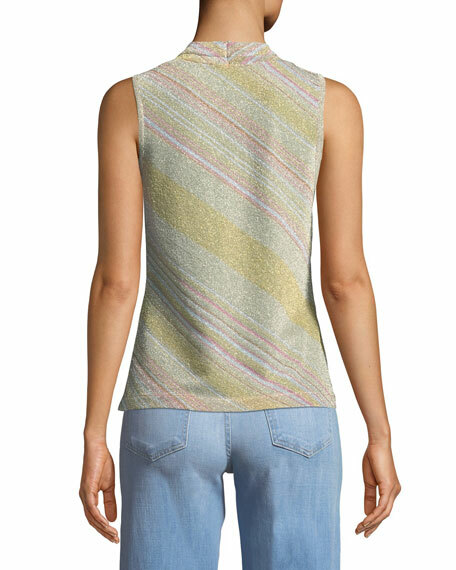 Ramy Brook "Tobey" knit top. 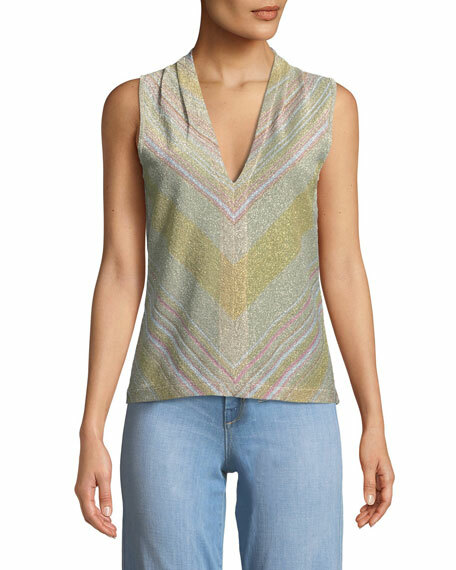 L'Agence "Jane" chiffon top in metallic dot jacquard. Approx. 18.8"L from shoulder to hem. V neckline. Delicate straps. Relaxed fit. Slipover style. Silk/metallic. Polyester lining. Dry clean. Imported. 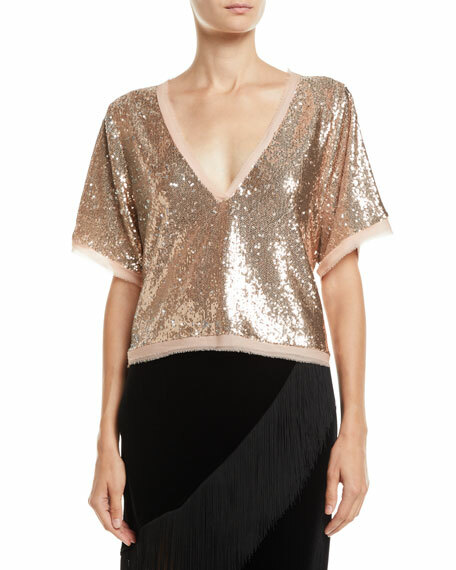 Nanette Lepore "Fortress" sequin top. Deep V neckline. Short sleeves. Slipover style. Relaxed silhouette. Cropped at hip length. 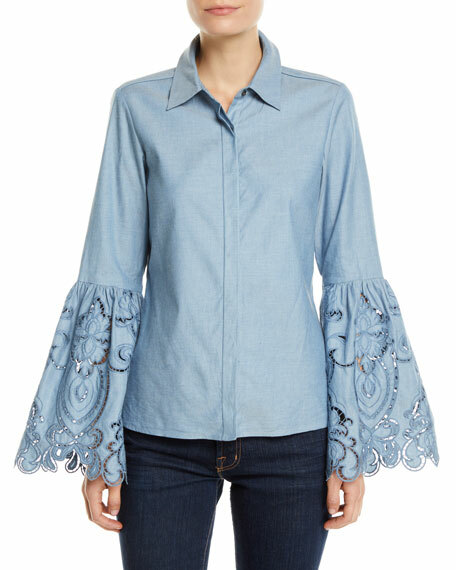 Contrast trim, cuffs and hem. Polyester. Made in USA of imported material. 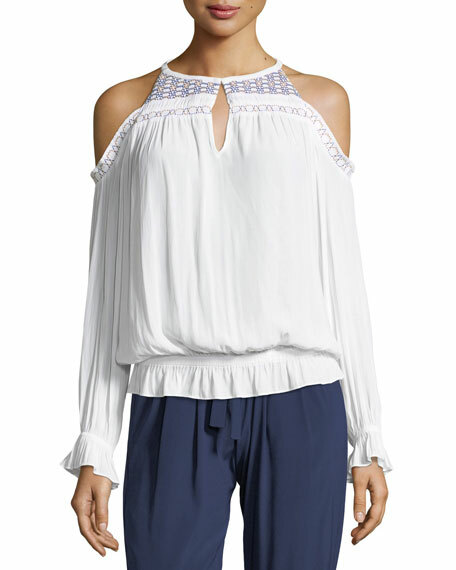 Ramy Brook "Harper" top with embroidery. Round neckline; keyhole front. Cold shoulders. Long sleeves. Blouson silhouette. Elasticized hem. Slipover style. Polyester. Imported.